Train up a child in the way he should go, Even when he is old he will not depart from it (Proverbs 22:6 NASB). I wanted to climb into the mailbox where I had just dropped in my manuscript and get it out! But I wouldn’t fit. My son was in middle school when I decided to write the book, Being a Great Mom, Raising Great Kids . (The words middle school should give you a heads up that this is not going to be good.) Steven had always been such an easy child to raise. He was compliant, obedient, pleasant, polite, and playful. He’d accepted Christ as Savior, was a good student, and just a joy to be around. Yep. I had done a good job. So I wrote a book to encourage other moms. The publisher loved it. My editor tweaked it. And I tied it up with a lovely box, placed it in a sturdy priority box, and dropped it into the US Post Office receptacle. When I came home from the post office, the phone was ringing. “Hi Mom,” Steven said on the other end. “What are you doing calling me in the middle of the day?” I asked. My heart sank, my jaw dropped, my mind went blank. All of a sudden I thought about that manuscript I had just dropped into the post office outgoing mail receptacle. I had to get it back!!! Who in the world did I think I was writing a book on parenting! I drove to the school and found some strange boy sitting in the principal’s office wearing my son’s clothes. I listened as he confessed to stealing snacks in the lunchroom during break. He received a one-week in-school suspension from the principal and house arrest from his dad and me. I was mad. I was hurt. I was embarrassed. I was fit to be tied. It seemed I wasn’t such a great mom after all. But the truth was, it wasn’t about me. After talking to my editor and explaining the situation, she assured me that I was the same great mom now that I had been the day before Steven did the deed. And Steven was still a great kid. I had my doubts, but I did allow God to teach me many life lessons. That was 16 years ago, and you know what? Steven did not turn out to be a professional thief or kleptomaniac. He is a wonderful adult with great character, daring dreams, and meaningful career. So what do you do when your kid or grandkid does something totally off the wall, completely out of character, and shockingly against everything you’ve ever taught him or her? What do you do when you feel like a complete failure as a mom? · Don’t panic. I know that’s easy to say, but take a deep breath. A temporary lapse of judgment is not a permanent condition. · Remember that adolescents do strange things. Hormones rage and the need to prove their independence make them a bit crazy. Early teen years come with a mixed bag of ugly and wonderful that keep parents guessing and kids not even liking themselves most of the time. · Deal with the issue at hand, dole out the proper punishment, and then let it go. Remember, you are still a great mom, even when your kid makes a bad decision. It’s part of growing up for both of you. Hmmm. How did he get so smart? Perhaps it’s because he’s a great kid. Lord, being a mom is so hard sometimes. I know that I cannot be a great mom, even a good mom, in my own strength. Give me the power of the Holy Spirit to be the kind of parent that my child needs. Help me to instill godly principles and values that will last a lifetime. Click over to my Facebook page and share one thing that has helped you not fall apart when you child messes up. Need a little mommy encouragement today? Learn seven key elements to great parenting. 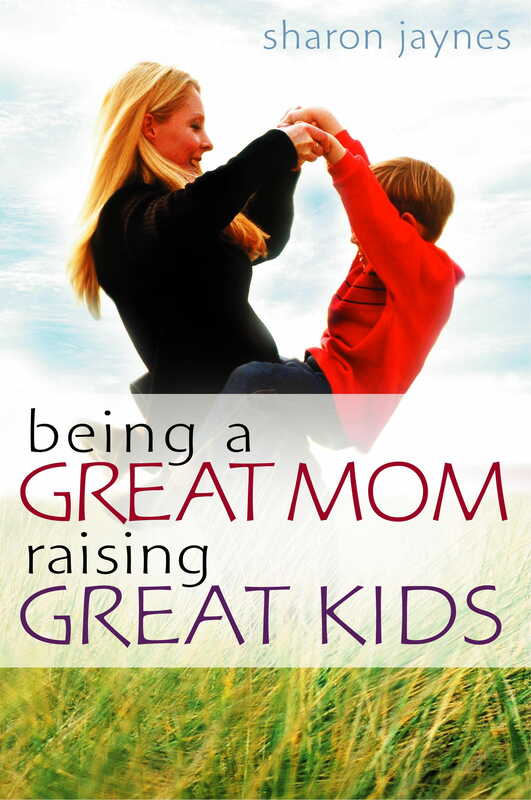 Filled with encouraging stories, powerful Bible teaching, and helpful ideas, Being a Great Mom Raising Great Kids will prove once again that moms have the most important job on earth!